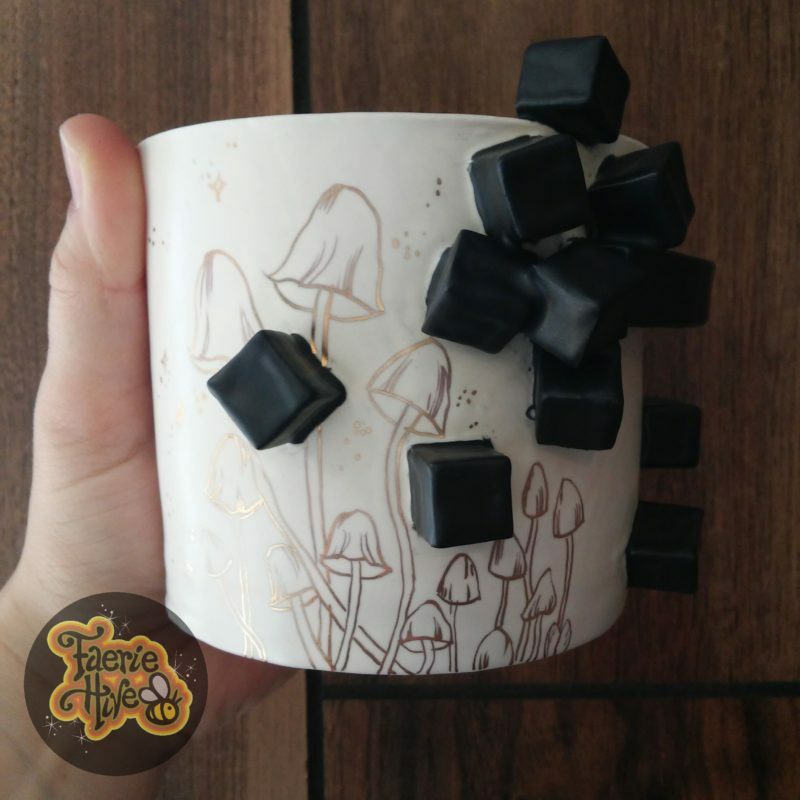 A large mug with a sparkling colony of golden mushrooms growing under a cluster of matte black cubes and rectangular prisms. Personally I recommend filling it with chocolate ice cream and curling up on a comfy couch. – don’t microwave items with gold lustre! This item is currently on exhibit at the Dog’s Eye Gallery in Greune, TX.